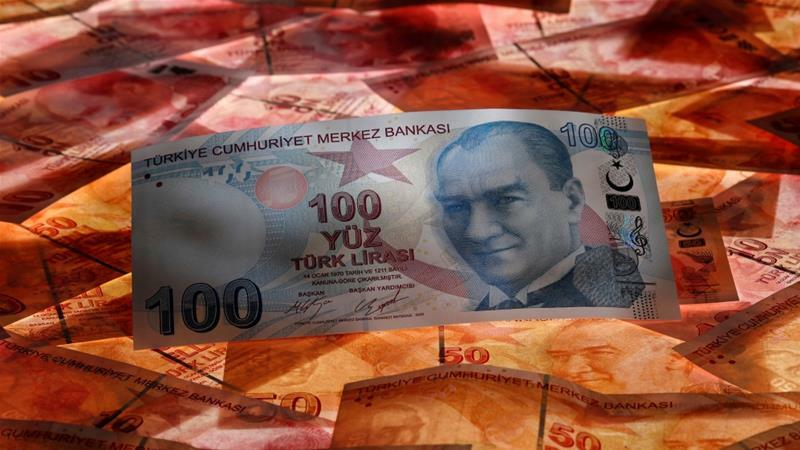 Turkey has accused Western credit-rating agencies of deliberately attempting to undermine the banking sector amid attacks on its currency, the lira. Friday's scathing comments from Turkish President Recep Tayyip Erdogan and his son-in-law, Finance Minister Berat Albayrak, came after two agencies, Moody's and Fitch, sounded more alarm this week about the state of Turkey's banks, citing impact of the currency sell-off.
" ;These rating agencies - in a way that has no precedent in the world - right after every forex attack, have weighed in and made intensive efforts to create a pessimistic view of our banks," Albayrak said in a speech in Istanbul. He said banks' balance sheets were stronger than most of their global rivals. Erdogan, characteristically, was more scathing. "If they have their dollars, we have our God. They can't topple Turkey with dollars," he told supporters in the northwestern province of Balikesir. "Put this aside, leave those impostors, those racketeers. They have said a lot of things about us." The lira has lost 42 percent of its value against the dollar this year, deepening concern about lenders' asset quality and their ability to ride out the crisis. Drawn by lower interest rates, Turkish firms have borrowed in dollars and euros for years. The currency slump has driv en up the cost of servicing that debt and investors fear that banks could be hit by a wave of rising bad debt. Around $179bn of Turkey's external debt matures in the year to July 2019, according to New York-based financial institution JPMorgan's estimates. Majority of that - around $146bn - is owed by the private sector, according to Reuters news agency. Erdogan added that Turkey was taking steps to help the currency, and was seeing concrete results. Earlier on Friday, the government said it would lower the level of withholding tax on lira bank deposits, while raising it on foreign currency deposits. The lira firmed some one percent after the move. It was at 6.54 on Saturday morning, rebounding strongly from an overnight low of 6.8994. President Erdogan has repeatedly called on Turks to sell their dollars and euros to buy lira. Friday's move by the government was aim ed at making it less attractive for investors to hold foreign-currency deposits, although it was unclear if it would work. Data released by the central bank on Friday showed foreign exchange held by Turks fell to $152.8bn as of August 24, down from $159.9bn on August 10, suggesting people were heeding Erdogan's call, or cashing in from the crisis. Meanwhile, Turkey's energy regulator will raise electricity prices by 14 percent for industrial use and nine percent for residential use from September 1, according to figures published in the government's Official Gazette on Friday. The rate hikes, which will further feed double-digit inflation, highlight another impact of Turkey's on-going currency crisis. Initially sparked by worries about Erdogan's influence on the central bank, the lira crisis has worsened over a rift with Washington over an US evangelical Christian pastor detained inTurkey on "terrorism& quot; charges. Erdogan, a self-described "enemy of interest rates", wants to see lower borrowing costs to keep credit flowing, particularly to the construction sector. Investors, who see the economy heading for a hard landing, want to see decisive interest rate hikes. Other data showed that the central bank's gross foreign exchange reserves fell to $72.9bn as of August 20, from $79.1bn on August 10. The central bank is due to hold its next rate-setting meeting on September 13. Sources told Reuters on Thursday that one of its deputy governors, Erkan Kilimci, is leaving the bank. The main BIST 100 share index dipped 0.44 percent on Friday to 92,867 points.